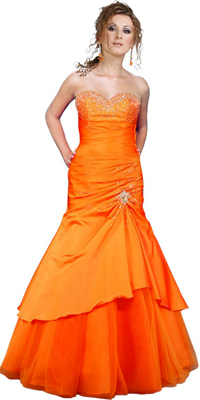 Look like a mesmerizing mermaid in this lovely strapless and sweetheart neck dress. This dress has bead work on the bust. The back of the dress is laced with a zigzag pattern. The skirt is puffed up with tiers. This dress is really pretty and looks awesome.